Taiko friends! 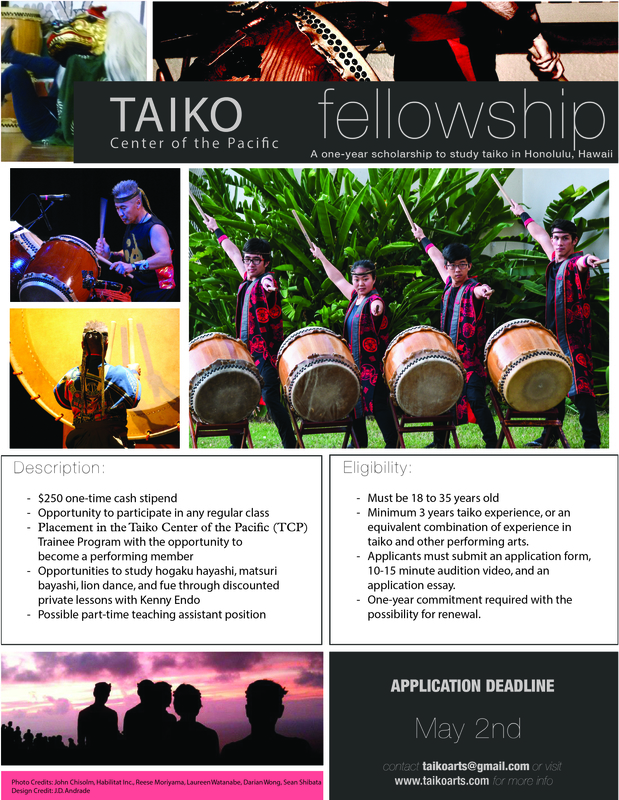 Please spread the word about our taiko fellowship! Application deadline extended to May 15! Find out more on our fellowship page! ← Summer Taiko Intensives 2016!! !